I absolutely love taking photographs and I have a passion for creating attractive images that capture the essence of a moment. I’m married to my beautiful wife of 5 years (so yes I have been there, done it and absolutely loved our magical day) and I’m a dad to our beautiful, quirky young daughter. Outside of photography, I’m a keen graphic designer, I play guitar and follow pretty much any sport. I love weddings! I consider it an honour each and every time that I am invited to witness a couple's special day and I make it my personal mission to make sure that you’re happy with your photography coverage and styling. I adopt a combination of contemporary portraiture and photo journalism to document your special day. I like to be creative for portraiture shots of the bride and groom leaning towards a cinematic look. Some of the photos will be posed, and some are more relaxed and off the cuff. I work with you to generate creative ideas that have personal meaning as these really work well to create those lasting memories. 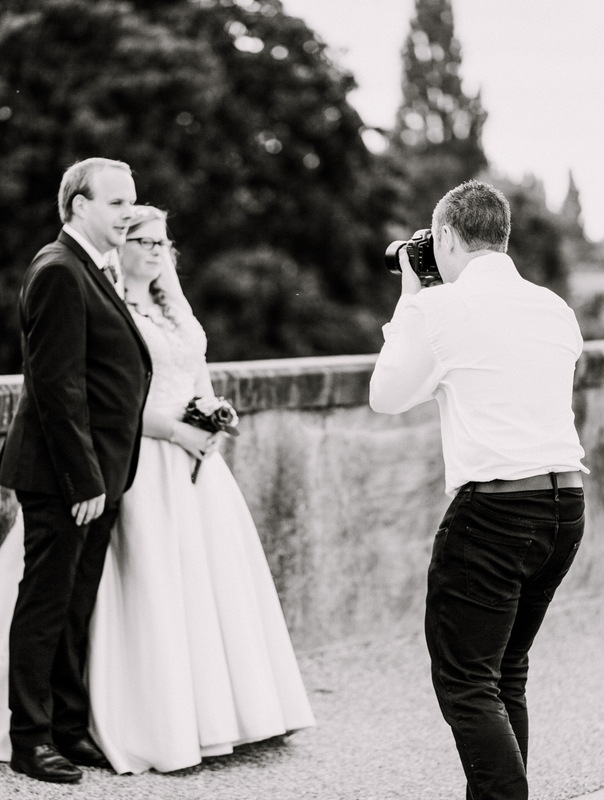 Group photos of family and friends are more formal whilst at the same time maintaining a relaxed atmosphere (herding your guests around is a bit of a necessity to capture those group shots, but I do try and keep the impact on your guests to a minimum). When it comes to the evening celebrations, I'll look to combine the creative portraiture style with a reportage style that shows all of your guests letting their hair down and partying the night away. I may ask if I can whisk you both outside near sunset to get some romantic style shots just as the sun is setting, the natural light during this time has a unique quality to it. I will always look to collaborate with you rather than dictate the way that things 'have to go' on your wedding day. Only taking the lead where we agree it necessary, this is your special day so you have the final say of how things will go. Discussing this together and agreeing an itinerary well in advance of your wedding day leaving plenty of time for tweaks leading up to your wedding. When people are nervous in photos it can really affect the quality of the final image. I will do my utmost to develop a rapport with you well before your wedding. I think it is really important that we are comfortable with each-other during the day and I will do my best to put you at ease to get those beautiful images. Offering words of encouragement throughout the day (without being cheesy) and especially during the more formal photos of the bride and groom shoot. I will edit your photos with as much care and attention as I would if they were my own (and I did edit my own wedding photos).